The legends speak of a fearsome monster with enormous power and insatiable appetite. To tame this colossus requires great wisdom, greater patience, and, some would say, a touch of madness. Perverse though it may seem, the closer you get to its destructive fire, the more alluring it becomes — and the more energy you devote to its care, the more its hunger increases. And that’s about the time you discover that the creature hasn’t even finished growing. Dragons? Sure. But what we’re really talking about is TV. Having a globally successful, obsessed-over series is the dream of every writer in Hollywood. But achieving it can often feel like a nightmare. With every new fan comes an increase in expectations. Every time the ratings or budget increase, so, too, do the headaches. The once-pure act of creation becomes an act of survival. The best ideas can give way to the fastest ones, all in an attempt to feed the angry beast known as production. Are you running the show or is it running you? It’s a relentless uncertainty that can lead to tremendous art and an absolutely awful life. At least that’s the way it is for most creators. 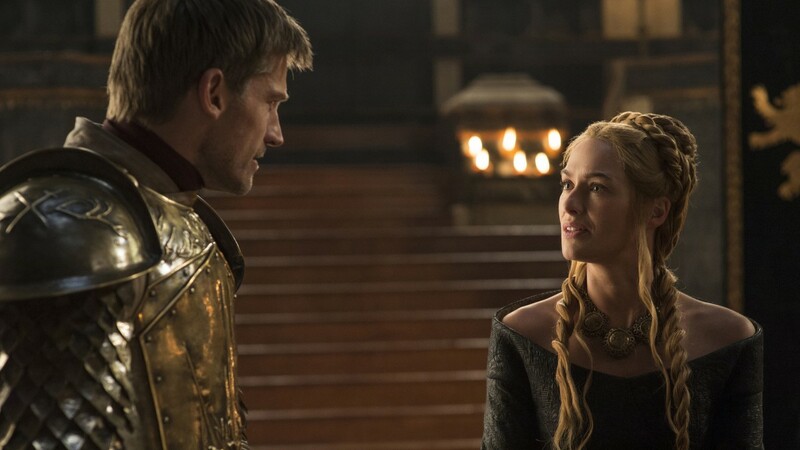 Game of Thrones, which returns for a fifth season this Sunday night on HBO, is different. For four stirring years, producers David Benioff and D.B. Weiss have looked down on the charred carcasses of other showrunners from on high, like Daenerys in the Great Pyramid of Meereen. While their peers tear their notes and rend their garments in an attempt to impose order on chaos, Benioff and Weiss appear confident, serene, and remote. Yes, the world of Game of Thrones is expansive and complex — a fact of which one is reminded weekly during the interminable opening credits — but it also came with a map, thanks to the voluminous novels of George R.R. Martin. Secure in the teachings of these holy books, Benioff and Weiss have taken creative chances others never could and lopped off heads — and hands, and littlefingers — that few others would. They’ve taken their time, building depth as well as breadth. Characters who seemed extraneous in Season 1 become vital in Season 5. A raven flapping its wings in Winterfell can cause a hurricane a continent away. This isn’t to suggest that Benioff and Weiss had it easy or were lacking in stress — far from it. As this Entertainment Weekly article illustrates, managing a $100 million production across three different European locations for 200 days out of every year makes the Battle of Castle Black look like a cakewalk. I’m merely saying that in a hypercompetitive television landscape that has turned viewers into skittish investors1 and creatives into beleaguered bankers, forced to guarantee returns in manageable, binge-able increments, Benioff and Weiss have been a gold standard of consistency. Their greatest challenges have been organizational and rhythmic. They’ve been free to focus on conducting the orchestra, not scribbling more music when the violins have already started to play. Game of Thrones has been breathtaking and it’s been risky; every season has gotten bigger and, improbably, better. But I’d argue that the show’s greatest triumph has been the chain-mail blanket of security that it provides. Other shows dip and dive with moments of brilliance followed by months of flailing. Game of Thrones marches ever onward like an Unsullied army: Impressive. Methodical. And lethal. Until now, that is. The end of Season 4 saw the collapse of whatever status quo had remained from the series’ earliest days. Tyrion Lannister strangled his lover, murdered his father, and was boxed up and mailed to Essos by a surprisingly sympathetic Varys. Stannis Baratheon rolled into the North like a storm front, defending the Wall and aligning himself with the perpetually beleaguered Jon Snow. Arya set sail. Sansa broke bad. Bran pledged himself to House Keebler. Change came for everyone, even stalwart Ser Jorah, last seen taking an epic Charlie Brown walk away from the Mother of Dragons and Keeper of His Heart. Yet the real tumult is still to come. I’ve never so much as glanced at one of Martin’s books — I decided years ago to consider Game of Thrones as a TV show on its own merits and nothing more — but even I am aware that Benioff and Weiss have made numerous tweaks to the preexisting narrative. Chronology has been shifted; what was hinted at in the novels has become gospel on the air. Some characters have been combined into plot-straddling hybrids while others have been sliced away completely, like unnecessary fat and sinew off the corpse of a stag. Now, though, change is coming faster than winter. Benioff and Weiss have stated publicly that they have broken away from Martin’s glacial timetable. Can you blame them? The Winds of Winter, the sixth novel in his planned seven-book cycle, has now been “forthcoming” for four years. (Six years separated the fourth book from the fifth.) Since the seventh season of Thrones is likely to be the last,2 there’s simply no time to indulge authorial privilege. Television’s dark appetites wait for no man, no matter how bearded. The official endgame, as revealed to Benioff and Weiss by Martin before they had even shot the pilot, is now fully in play. The last notes of A Song of Ice and Fire are likely to ring out onscreen, not on the page. For book readers, this is chilling. No longer will they be able to lord their knowledge over newbies like the grand maesters of old; the days of filming the shocked reactions of unspoiled friends and family are over. For Martin, it appears to be even more traumatic. Everyone is too professional — not to mention too well paid — to say anything publicly, but it’s hard not to get a whiff of resentment from his recent behavior. This season, for the first time in Game of Thrones’s run, Martin is not writing a script. Instead, he’s been loudly musing about new “twists” that the TV show would be unable to accommodate, rush-releasing chapters of the sixth book, and making deals with HBO for other projects. One gets the sense that he truly believed that the TV show would drag its heels to accommodate him and his ever-expanding story. But if there’s anyone who should know that authority figures are easily and messily dispatched, it’s Martin. The reality is that the crumbling of old orders, onscreen and off, has invigorated Game of Thrones in the best possible way. Whereas past season premieres have served as extended throat-clearings for the tightly choreographed bedlam to come, Sunday’s hour crackles with nervy possibility. Old friends are thrust into new scenarios.3 Yesterday’s enemies look far more appealing than tomorrow’s threats. Everything feels fluid and untethered. Yes, it’s good — Thrones is always good. But now it’s teetering on the edge of something different and possibly even better. With so much in flux, is it coincidence or something more that faith appears to be the season’s unifying theme? In the premiere, one nearly forgotten character returns transformed: He’s given up everything — including his shoes! — in service of a religious calling, while another supporting figure makes it quite plain that he would rather burn than kneel. Survival is revealed to be something more than primal instinct. It’s a series of choices that lead to a series of consequences. The Hound may be gone but his beloved chickens are finally coming home to roost. In light of this, I couldn’t help but hear stray lines of dialogue as winking commentary on Benioff and Weiss’s gradually spreading wings. “Things have gotten worse, not better,” Varys tells Tyrion, sounding a lot like my friends who have soldiered through A Dance With Dragons. 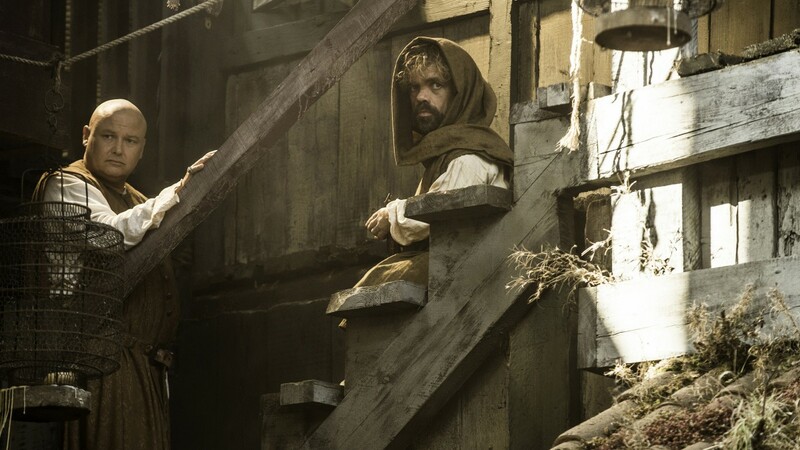 “Westeros needs to be saved from itself.” At another point, a witch hisses, “Everyone wants to know their future. Until they know their future.” Ignorance, in other words, is bliss — especially when the next batch of answers is only six long nights away. Get ready. Because here they come. Time really is money if you’re shelling out for cable, Netflix, Amazon, and Hulu on a monthly basis. Here’s Benioff on the seven-season question in Rolling Stone: “We’ve always said that, but we have to talk to HBO and come to an understanding. There’s a temptation to keep going with it because we’re still having fun, but you don’t want to ruin it by tacking on a couple of extra years.” Translation: The ratings and our pool-house budget may demand eight seasons, but that’ll really be it. Some aren’t there at all: Bran and his band of merry, magical traveling companions are spending the season on the bench. It bears mentioning that most of my book-reading pals have said that just about every change Benioff and Weiss have made from the books has been an improvement. Know Thyself: Why Are Billy Crystal and Josh Gad Starring in ‘The Comedians,’ an Adaptation of an Obscure Swedish Meta-Sitcom?